Water shoes are one of the most versatile types of shoe; they are strong, durable, and built to withstand multiple different types of surface and strenuous activity. A good water shoe will support you whether your running, boating, fishing, or hiking, ensuring that moisture is drained away, instead of gathering inside your shoe. If you spend a lot of time hiking, then a good quality water shoe is an essential addition to your closet. But which type of water shoe is best? We have put together a list of the best eleven water shoes available on the market, to give you a helping hand picking out a water shoe that’s right for you. 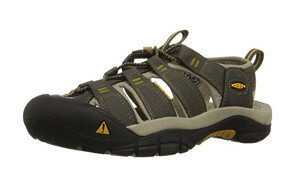 KEEN is a popular brand, well-known for their strong and versatile outdoor sandals. The KEEN Men’s Newport H2 Sandal lives up to the brand’s excellent reputation, offering a perfect combination of support, comfort, and practicality. The sandal design is stylish but also highly durable and easy to maintain. The upper part of the sandal, made from a water-resistant leather, is washable, while the metatomical footbeds can be removed for easy cleaning. With the addition of mesh lining which allows for superb breathability, and the lug-patterned base for improved traction, there is very little not to love about the practicality and performance of the KEEN Men’s Newport H2 Sandal. One of the best features of this stylish water shoe by Dreamcity is its lightweight design, making it perfect for casual walking. The breathable mesh on the upper part of the shoe and well-designed sole means that it stays breathable when it gets wet, ensuring that comfort is not compromised. Comfort is further enhanced by the sockliner, providing a cushioning performance and an optimum environment for your feet. For a lightweight water shoe with a comfortable and durable design, the Dreamcity Men’s Water Shoe should definitely be near the top of your shortlist. The Merrell Men’s All Out Blaze Sieve Water Shoe lives up to its name, going all out to create a water shoe that performs exceptionally on dry-land and on tricky terrain. This is one of the best water shoes for hiking, with an efficient Unifly midsole and waxed-leather upper which tackles moisture with ease. The breathable design is left partially open at the heel, making the water shoe a stylish mix between a sandal and durable hiking shoe. Thanks to the combination of leather, fabric, and synthetic sole, you should encounter no problems with this versatile shoe whilst hiking. These also make a great gift for a hiker in your life. Salomon is a classic brand amongst the top water shoes, and a highly popular choice. The Techamphibian 3 Trail Running Shoe is a prime example of Salomon at its best, delivering high performance and an outstanding design with strong thick rubber soles. The design of the shoes is innovative, offering convenience with laces that don’t tangle and a quick-drying mesh that resists debris. The heel is both adjustable and convertible, with the addition of a molded midsole, and outsole with Contagrip. For a water shoe that is going to provide comfort on long hikes and survive a splash through the creek on the way back, this is a prime choice. Designed by Columbia, the Drainmaker III Trail Shoe is ideal for those who need their shoes to dry quickly and efficiently multiple times during a hike or other activity. The shoe features a stylish fabric design with a strong synthetic sole and handy protective cap at the front. For those hikers who love lightweight water shoes, with exceptional air-flow and built-in water drainage, this is a top choice. The water shoe is quick to dry and has an excellent ventilation system design for hiking and water-based activities. While not primarily aimed at hikers with the flat rubber sole, the Men’s Climacool Boat Lace Water Shoe by Adidas Outdoor is a fantastic choice for a stylish water shoe intended to be used during water-activities, or casual walking. The shoe is exceptionally breathable, with open meshing Climacool tooling and a lightweight construction. Available in multiple different designs, this is an excellent shoe for anyone who loves the Adidas style but needs enhanced footwear for more practical uses. The design is comfortable, with an EVA tongue top and stretchable heel, making it ideal for most outdoor activities. Being so well-known for their swimwear, you’d expect that Speedo would do a good job creating a water-resistant, breathable shoe, and you’d be right. The Men’s Hydro Comfort 4.0 Water Shoe is designed for comfort and practicality, with water management technology used to enhance the performance of the shoe during water-based activities. A top choice for hikers that favor synthetic shoes, the Hydro Comfort 4.0 Water Shoe has a fully enclosed heel with great support and the benefit of being quick-drying. The Atika Sports Sandals go above and beyond what most standard water shoes have to offer. Protection is a key aspect of this strong and durable water shoes, with the design featuring a rubber guard on the outer, hybrid toecap in the middle, and inner layer with a synthetic upper. 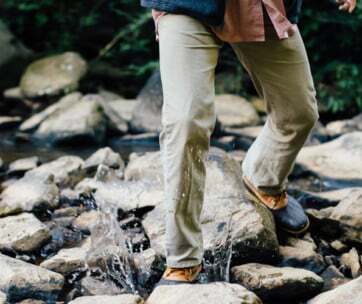 The heightened protective design is ideal for more rugged terrain, where comfort is still important, but you need that extra element of safety in your choice of shoe. An interesting mix between a sneaker and a water shoe, the Top-Sider Men’s 7 Seas 3-Eye Boating Shoe by Sperry is both stylish and well-suited to watersports. While not primarily directed at hikers, the design is non-slip, the hydrophobic mesh dries quickly, and provides great water drainage. 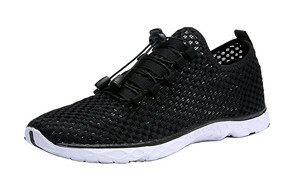 The shoes are also very breathable, comfortable, and secure with the Mocfit construction. If you need a strong shoe that is going to be able to withstand constant water exposure, without becoming uncomfortable, these highly stylish shoes are a winning pick. A leader amongst versatile water shoes, the Merrell Men’s Capra Rapid Hiking Water Shoe performs as exceptionally in water as it does whilst you’re hiking. The quick-drying design and strong rubber sole makes changing terrain easy to handle, while the mesh lining and rubber foam ensure that comfort is always retained. If you’re after a shoe that can stand up to hikes on varying terrain, without letting you down, then the Merrell Men’s Capra Rapid Hiking Water Shoe should be near the top of your list. One of the best additional features with these water shoes is the convenience; the EVA footbed is removable, and distribution ports located in the midsole makes water drainage easy. 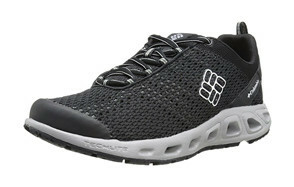 Designed by Under Armour, the Men’s Kilchis water shoes are uniquely styled, with multiple colors to choose from. The fun and highly appealing design is backed up with an excellently designed drainage system, rubber outsole with non-marking, and a synthetic sole. The water shoes boost high levels of breathability, combined with a quick-drying design, and added abrasion protection with synthetic overlays. With a great combination of style and performance, these are a top shoe choice for hiking over wet surfaces. Q: What Is a Water Shoe? A: A water shoe is a form of footwear that is specially designed to provide the wearer with increased traction. Most water shoes come with a form of additional toe protection, and foot support, to make watersports and outdoor activities easier on the foot. The closed toe design and enhanced traction on the sole, makes the shoe different to alternative water footwear, such as sandals designed for use in the water. Normally, water shoes also have a design that features a water drainage system, improved air flow, and plenty of ventilation. One of the biggest benefits of water shoes is the increased traction on the sole. Most water shoes are designed with a sole that is specifically patterned to deal with changing surfaces, and terrains that are less than ideal. Most can tackle slippery and rocky surfaces with ease. When hiking, fishing, kayaking, or performing other watersports, top of foot and toe protection is incredibly important. Many of the top water shoes incorporate toe protection in their design, as well as additional features to create the optimum foot environment. These can come in the form of shield linings or external toe guards. Shoes that retain moisture can be very damaging to your feet on long hikes, or when spending considerable time in the water. Water shoes are designed to dry quickly, so you can move in and out of water regularly, without worry that your feet will become damaged and uncomfortable. Most water shoes feature an open design, particularly on the heel, but also at the sides. In colder weather, this can become uncomfortable, especially with regular exposure to cold water. In chiller climates, water shoes may not provide the elemental protection you need. Water shoes are more of a hybrid shoe than a specialist hiking shoe. This means that they are unlikely to perform quite as well as hiking shoes on longer hikes, or hikes where the terrain is more difficult. For shorter hikes however, they can be a very practical option. If you are solely using water shoes for watersports or similar activities, then one of their major downsides is expense. A water shoe is normally much more expensive than the main alternative, water sandals. Perhaps the best aspect of water shoes is their versatility. 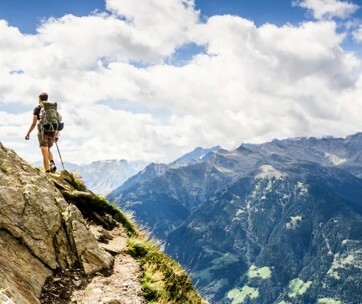 They make ideal hiking shoes on shorter hikes with rocky or varied terrain and perfect shoes for all manner of water activities, from fishing to kayaking. Their unique design means they can handle slippery surfaces as well as crumbling terrain, making for a fantastic all-round shoe. 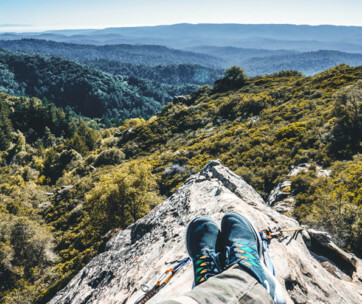 If you’re going on a hike and are unsure what terrain you’ll be walking on or need a shoe that will protect you in the water, then a water shoe is a safe, practical and comfortable choice of footwear.